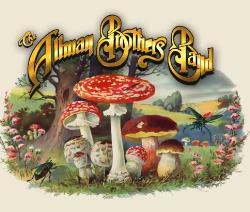 A pair of 1992 Allman Brothers Band live shows will get released on February 18. Play All Night: Live at the Beacon Theatre is a double CD recorded March 10 and 11 of that year's annual New York City residency by the band. Live at Great Woods had been previously available as a DVD that had concert segments split up by interview clips. The Feb. 18 release will feature the performance uninterrupted.